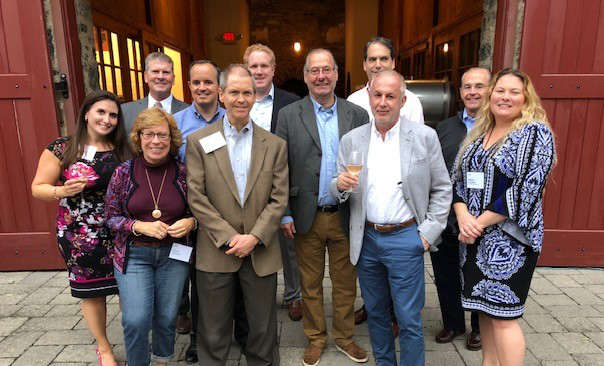 TEI Philadelphia Chapter members enjoy a wine tasting event at Grace Winery in Glen Mills, Pennsylvania. TEI’s Philadelphia Chapter recently held its annual wine tasting and KPMG continuing education event at the Grace Winery in Glen Mills, Pennsylvania. KPMG opened the event with an excellent informative CPE program on recent federal tax reform and guidance (or lack thereof) to date, plus other current events in Washington. Afterward, members gathered on the terrace of Grace Winery to enjoy some of the winery’s vintage varietals. This event has become a highlight of the Philadelphia Chapter’s year.